If you are looking for a way to kill some unwanted grass for a new garden bed, solarizing it with a plastic tarp is an easy solution. It is much less labor intensive than digging up the grass for a new bed and it does not involve any harmful chemicals. Soil solarization uses energy from the sun to overheat and kill grass, weeds, fungi and other garden pests in the soil. It works best in hot, sunny weather, but can be used in cooler climates with a few modifications. Mow the grass down to the soil. It should be as low to the ground as you can mow it. 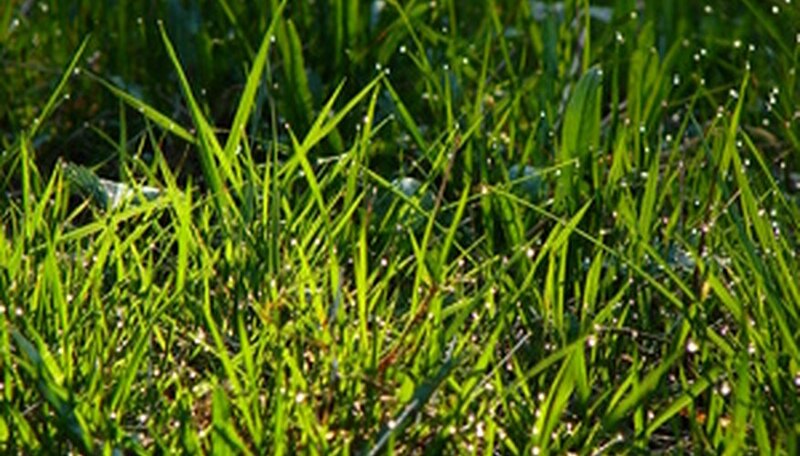 Water the area of grass that you want to remove. Spread a clear plastic tarp over the grassy area. Place bricks, large rocks or other heavy objects around the edges of the tarp to hold it down. You can also bury the edges of the tarp in the soil to keep it in place. Leave the tarp on the grass for four to six weeks during warm weather. If you are trying to kill grass with a tarp during the cooler months, leave the tarp in place for up to 10 weeks. Remove the tarp and rake away the dead grass. A black tarp can also be used to solarize the soil and kill unwanted grass, especially in cooler climates. Do not disturb the tarp-covered area during the solarization process.